Journal of Plant Physiology & Pathology is a peer-reviewed scholarly journal and aims to publish the most complete and reliable source of information on the discoveries and current developments in the mode of original articles, review articles, case reports, short communications, etc. in all areas of plant physiology & pathology and making them accessible online freely without any restrictions or any other subscriptions to researchers worldwide. Any other material of Plant Physiology & Pathology relevance will also be considered. The Journal is using Editorial Manager System for quality in review process. Editorial Manager is an online manuscript submission, review and tracking system. Review processing is performed by the editorial board members of Journal of Plant Physiology & Pathology or outside experts; at least two independent reviewers approval followed by editor approval is required for acceptance of any citable manuscript. Authors may submit manuscripts and track their progress through the system, hopefully to publication. Reviewers can download manuscripts and submit their opinions to the editor. Editors can manage the whole submission/review/revise/publish process. *2016 Journal Impact Factor is the ratio of the number of citations achieved in the year 2016 based on Google Search and Google Scholar Citations to the total number of articles published in the last two years i.e. in 2014 and 2015. Impact factor measures the quality of the Journal. If ‘X’ is the total number of articles published in 2014 and 2015, and ‘Y’ is the number of times these articles were cited in indexed journals during 2016 then, impact factor = Y/X. Plant Pathology (Phytopathology) deals with the cause, etiology, resulting losses and control or management of the plant diseases. Plant pathology comprises with the basic knowledge and technologies of Botany, Plant Anatomy, Plant Physiology, Mycology, Bacteriology, Virology, Nematology, Genetics, Molecular Biology, Genetic Engineering, Biochemistry, Horticulture, Tissue Culture, Soil Science, Forestry, Physics, Chemistry, Meteorology, Statistics and many other branches of applied science. Journal of Plant Pathology, Journal of Plant Pathology & Microbiology, Molecular Plant Pathology, Netherlands Journal of Plant Pathology, Annual Review of Pathology: Mechanisms of Disease, Annual Review of Plant Biology, Trends in Plant Science, Studies in Mycology, Annual Review of Phytopathology. It deals with Plant Environment Interactions: plant responses to environmental variables including global change, biotic and abiotic stress, mineral nutrition; Photosynthesis and Metabolism: light capture, carbon uptake and assimilation, resource allocation, broader metabolism and nutrition; Crop Molecular Genetics: including trait and gene characterization; Plant Growth and Differentiation: integration of internal and external cues determining development and architecture, reproductive biology. Plant and Cell Physiology, Plant Physiology, Physiology and Molecular Biology of Plants Annual Review of Plant Physiology, International Journal of Plant Physiology and Biochemistry, Indian Journal of Plant Physiology, Plant Physiology, Plant Physiology and Biochemistry. It aims to expand, integrate, and extend the knowledge of plant/soil ecosystems in the production of plants, the creation of a living landscape and the sustenance of environmental quality. Phytopathology: is an interdisciplinary science that includes knowledge of botany, microbiology, crop science, soil science, ecology, genetics, biochemistry, molecular biology, and physiology. It deals with the disciplines of Mycology, Fungal Pathology, Bacteriology, Virology, Phytopathology and Nematology. American Journal of Plant Sciences, Annals of Applied Biology, Annals of the Missouri Botanical Garden, Annual Review of Plant Physiology, Asian Journal of Plant Science & Research, BioControl, Biocontrol Science and Technology. Research in the department on Host-Parasite Interactions and Genomics integrates pathogen genomics, computational biology and phylogeny, combined target-specific and genome-scale functional analyses to provide an unprecedented view of how organisms have evolved to be pathogens of plants and how they adapt to environmental selection. International Journal of Plant Protection, Journal of Plant Pathology, Journal of Plant Pathology & Microbiology, Molecular Plant Pathology, Plant Protection Science, International Journal of Plant Physiology and Biochemistry, International Journal of Plant Protection. Plant cells are eukaryotic cells, or cells with a membrane-bound nucleus. Unlike prokaryotic cells, the DNA in a plant cell is housed within the nucleus. In addition to having a nucleus, plant cells also contain other membrane-bound organelles, or tiny cellular structures, that carry out specific functions necessary for normal cellular operation. Methods in Cell Science, Advances in cellular and molecular biology of plants, Pigment Cell Research, Plant and Cell Physiology, Cellular Microbiology, Plant, Cell and Environment, The Plant Cell Online Asian Journal of Cell Biology, European Journal of Cell Biology. Includes biology and ecology of weeds in agricultural, forestry, aquatic, turf, recreational, rights-of-way and other settings, genetics of weeds herbicide resistance, chemistry, biochemistry, physiology and molecular action of herbicides and plant growth regulators used to manage undesirable vegetation. Weed Biology and Management, Weed Research, Weed Science, Weed Technology, Australasian Plant Pathology, Journal of Plant Pathology, Journal of Plant Pathology & Microbiology, Molecular Plant Pathology, Netherlands Journal of Plant Pathology, Phytopathologia Mediterranea. It deals with Physiological principles as they relate to landscape design and contracting, turfgrass management, public horticulture: photosynthesis and transpiration, respiration, water and hormonal relations, mineral nutrition, plant development and response to the environment. Annual Review of Plant Physiology, Indian Journal of Plant Physiology, International Journal of Plant Physiology and Biochemistry, Plant and Cell Physiology, Plant Physiology, Physiology and Molecular Biology of Plants. It emphases in Environmental Horticulture, Insects and Society, Plant Biotechnology, Soil and Land Resources, and Sustainable Cropping Systems, and advanced degrees in Entomology, Plant Science, and Soil and Land Resources. Soil & Plant Science, Communications in Soil Science and Plant Analysis, Plant Cell, Current Opinion in Plant Biology, Plant Physiology, Journal of Ecology, New Phytologist, Molecular Plant, Plant, Cell and Environment. It is the study of short-term acclimation and long-term adaptation of plants to changing environmental conditions. Our traditional goal has been to integrate leaf and plant- level responses to biotic and abiotic stress under field and laboratory conditions. Increasingly, our focus has been either to set molecular physiology in an ecological context, or to provide a basis for scaling root and shoot level responses to canopy, ecosystem and region in the context of climate change, whether for crops or natural vegetation. Agriculture and Environment, Annals of Agricultural and Environmental Medicine, Food, Agriculture, and the Environment Discussion Paper, International Journal of Agricultural and Environmental Information Systems, International Journal of Agriculture Environment & Biotechnology, Journal of Agricultural and Environmental Ethics. It is the ecology of microorganisms: their relationship with one another and with their environment. It concerns the three major domains of life-Eukaryota, Archaea and Bacteria as well as viruses. Microorganisms, by their omnipresence, impact the entire biosphere. Microbial life plays a primary role in regulating biogeochemical systems in virtually all of our planet's environments, including some of the most extreme, from frozen environments and acidic lakes, to hydrothermal vents at the bottom of deepest oceans, and some of the most familiar, such as the human small intestine. Applied Soil Ecology, Annual Review of Pathology: Mechanisms of Disease, Annual Review of Plant Biology, Trends in Plant Science, Studies in Mycology, Annual Review of Phytopathology. Mycology: Study of fungi, including mushrooms and yeasts. Many fungi are useful in medicine and industry. Mycological research has led to the development of such antibiotic drugs as penicillin, streptomycin, and tetracycline. Phycology (algae): are a very large and diverse group of simple, typically autotrophic organisms, ranging from unicellular to multicellular forms, such as the giant kelp (large brown alga), that may grow up to 50 meters in length. World Mycotoxin Journal, Experimental Mycology, Mycologia, Studies in Mycology, Field Mycology, Applied Mycology and Biotechnology, Medical Mycology Case Reports, Virology & Mycology, Mycological Progress, Mycological Research, , Journal of Plant Physiology, Brazilian Journal of Plant Physiology. Virology is the study of viruses; sub microscopic, parasitic particles of genetic material contained in a protein coat. It focuses on the following aspects of viruses: their structure, classification and evolution, their ways to infect and exploit host cells for reproduction, their interaction with host organism physiology and immunity, the diseases they cause, the techniques to isolate and culture them, and their use in research and therapy. Virology is considered to be a subfield of microbiology or of medicine. Bacteriology is the study of bacteria. This subdivision of microbiology involves the identification, classification, and characterization of bacterial species. A person who studies bacteriology is a bacteriologist. Journal of Virology, Virology, Journal of General Virology, Journal of Medical Virology, Archives of Virology, Journal of Clinical Virology, Reviews in Medical Virology, Journal of NeuroVirology, Journal of Bacteriology, Journal of Applied Bacteriology Symposium Supplement, Society for Applied Bacteriology symposium series, Journal of Bacteriology and Virology, Japanese Journal of Bacteriology, International Journal of Mycobacteriology. Plant diseases have caused severe losses to humans in several ways.The goal of plant disease management is to reduce the economic and aesthetic damage caused by plant diseases. Traditionally, this has been called plant disease control. Plant disease management practices rely on anticipating occurrence of disease and attacking vulnerable points in the disease cycle. Therefore, correct diagnosis of a disease is necessary to identify the pathogen, which is the real target of any disease management program. Plant Disease, Journal of Plant Diseases and Protection, Australasian Plant Disease Notes, Journal of Plant Diseases and Proctection, Supplement, Canadian Plant Disease Survey. Plant Disease Resistance protects plants from pathogens in two ways: by pre-formed mechanisms and by infection-induced responses of the immune system. Relative to a disease-susceptible plant, disease resistance is often defined as reduction of pathogen growth on or in the plant, while the term disease tolerance describes plants that exhibit less disease damage despite similar levels of pathogen growth. Disease outcome is determined by the three-way interaction of the pathogen, the plant, and the environmental conditions (an interaction known as the disease triangle). 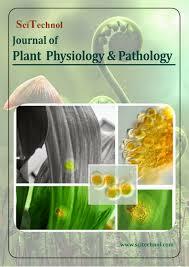 European Journal of Plant Pathology, Molecular Plant Pathology, Physiological and Molecular Plant Pathology, Plant Pathology, Canadian Journal of Plant Pathology, Australasian Plant Pathology, Journal of Plant Pathology, Journal of General Plant Pathology, Plant Pathology Journal, Tropical Plant Pathology, Asian Journal of Plant Pathology. Population biology is relevant to plant pathology because plant diseases are caused by populations of parasites. One pathogen lesion on one leaf does not have a significant economic or ecological impact. 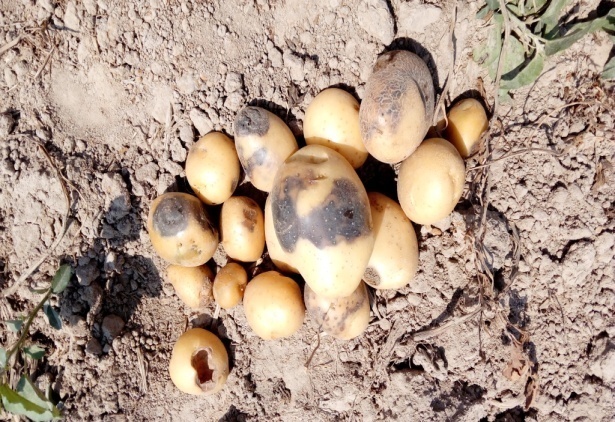 An epidemic that causes significant crop loss involves thousands or millions of infection events involving an entire population of parasites and their host plants. To control the disease, a plant pathologist must develop methods to control the entire pathogen population. Thus it is important to understand the population biology of plant pathogens in order to develop rational control strategies. 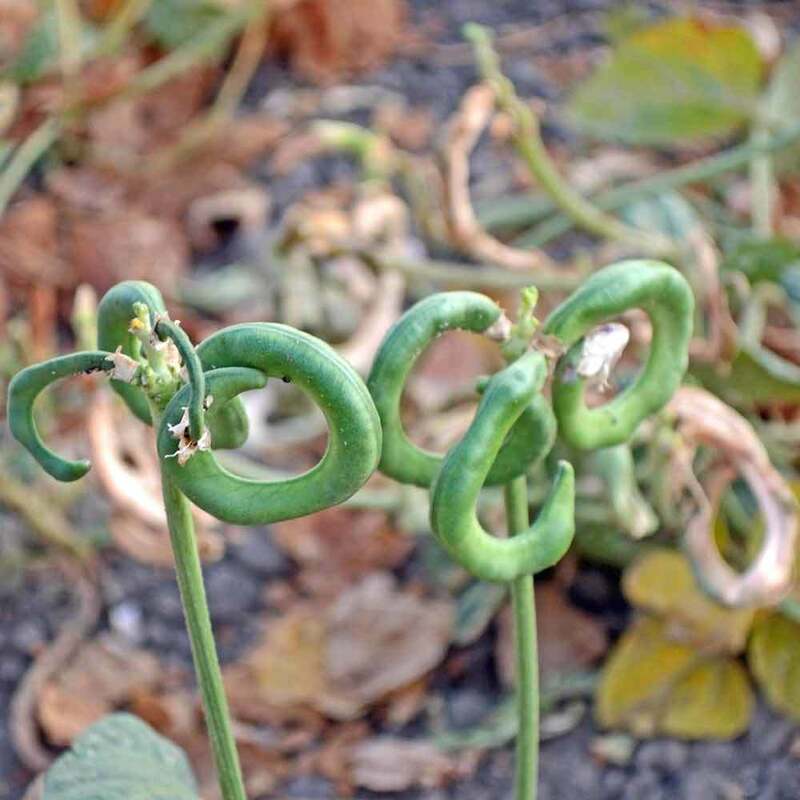 Developments in Plant Genetics and Breeding, European Journal of Plant Pathology, Molecular Plant Pathology, Physiological and Molecular Plant Pathology, Plant Pathology, Canadian Journal of Plant Pathology, Australasian Plant Pathology. Plant disease epidemiology is the study of disease in plant populations. Much like diseases of humans and animals, plant diseases occur due to pathogens such as bacteria, viruses, fungi, oomycetes, nematodes, phytoplasmas, protozoa, and parasitic plants. Plant disease epidemiologists strive for an understanding of the cause and effects of disease and develop strategies to intervene in situations where crop losses may occur. Typically successful intervention will lead to a low enough level of disease to be acceptable, depending upon the value of the crop. A plant growth regulator is an organic compound, either natural or synthetic, that modifies or controls one or more specific physiological processes within a plant. 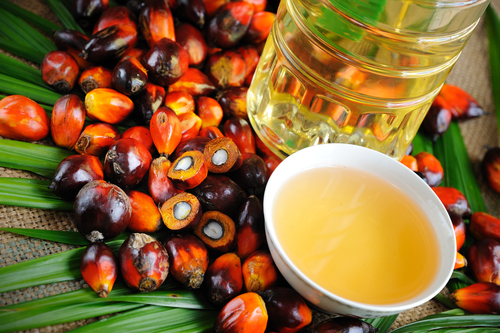 If the compound is produced within the plant it is called a plant hormone. A plant regulator is defined by the Environmental Protection Agency as "any substance or mixture of substances intended, through physiological action, to accelerate or retard the rate of growth or maturation, or otherwise alter the behavior of plants or their produce. Additionally, plant regulators are characterized by their low rates of application; high application rates of the same compounds often are considered herbicidal". Upon reading these descriptions, it strikes me that the definition is likely to be broadened, particularly as it relates to the EPA, as we consider changes that can be made through the modern methods of genetic engineering. Journal of Plant Physiology and Molecular Biology, Plant Physiology and Biochemistry, American Journal of Plant Physiology, Plant Physiology Journal, Indian Journal of Plant Physiology, Russian Journal of Plant Physiology. Integrated Disease Management (IDM) is a disease control approach that uses all available management strategies to maintain disease pressures below an economic injury threshold. It does not advocate a routine chemical application program to prevent disease, but promotes the integration of cultural, physical, biological and chemical control strategies. The routine application of fungicides for insurance purposes is not appropriate, as it does not focus the proper attention on the real problem and can lead to resistance and potential environmental issues. Journal of Plant Pathology, Journal of General Plant Pathology, Plant Pathology Journal, Tropical Plant Pathology, Asian Journal of Plant Pathology.